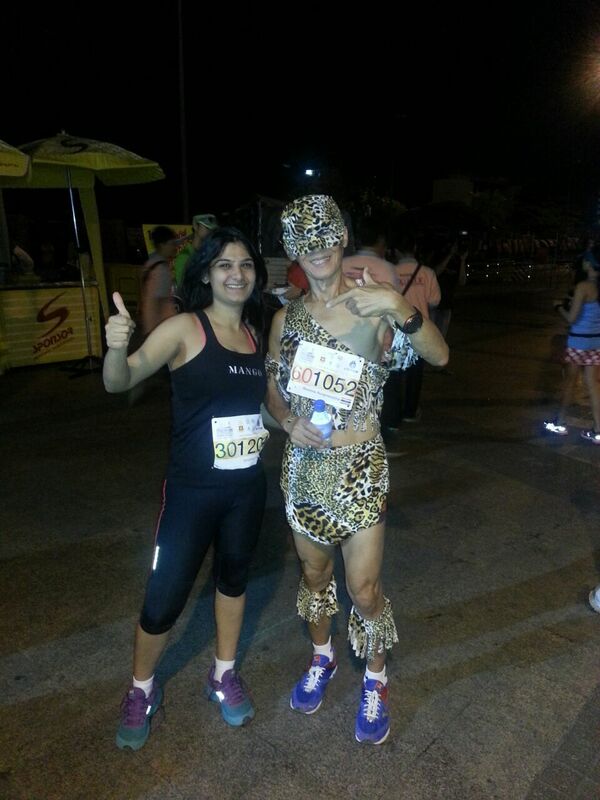 A 60 plus year runner that too in a costume! His quads say it all. It was an impulsive decision. I wanted to run somewhere I didn’t know anyone but it also had to be a place which was not atrociously expensive. I looked up half marathons around the world on google and closed on Thailand International Half Marathon, just like that. I had no expectations from the place or the event, I didn’t even bother to check on the route, the idea was to just run. Oops reached a bit too early. At 3 am! I spent an exasperating 30 minutes to explain the venue for race kit collection (the same as the start line) to the cab driver. So even though it’s the 4th edition, I understood that it is not a hugely popular event. 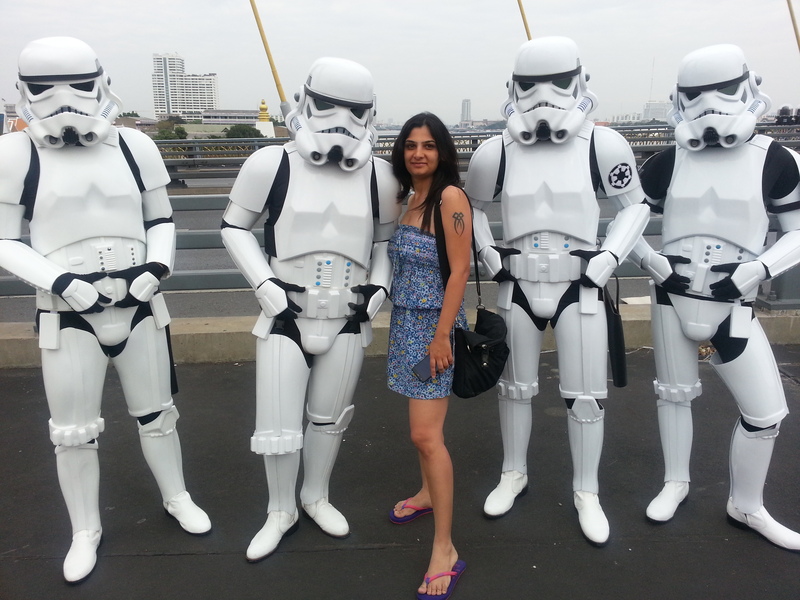 Nonetheless, I was excited as the start line was under the bridge by the river side with Storm Troopers and Darth Vader doing rounds. Later on, because of some confusion and nervousness, I ended up reaching the venue 3 hours prior to start time. So I had lot of time to kill – looking around, thinking, reminiscing and using the washroom as many times as I wanted to. I chatted with a lot of runners as they started pouring in. The age category was mentioned on the bibs (under 29, 30-39, 40-49, 50-59 and 60 plus) and I noticed that most runners (947 in all) were 40 and above. One of the runner from Denmark told me that the route is very flat and how wrong was I to believe him. The entire out and back route was on a flyover! 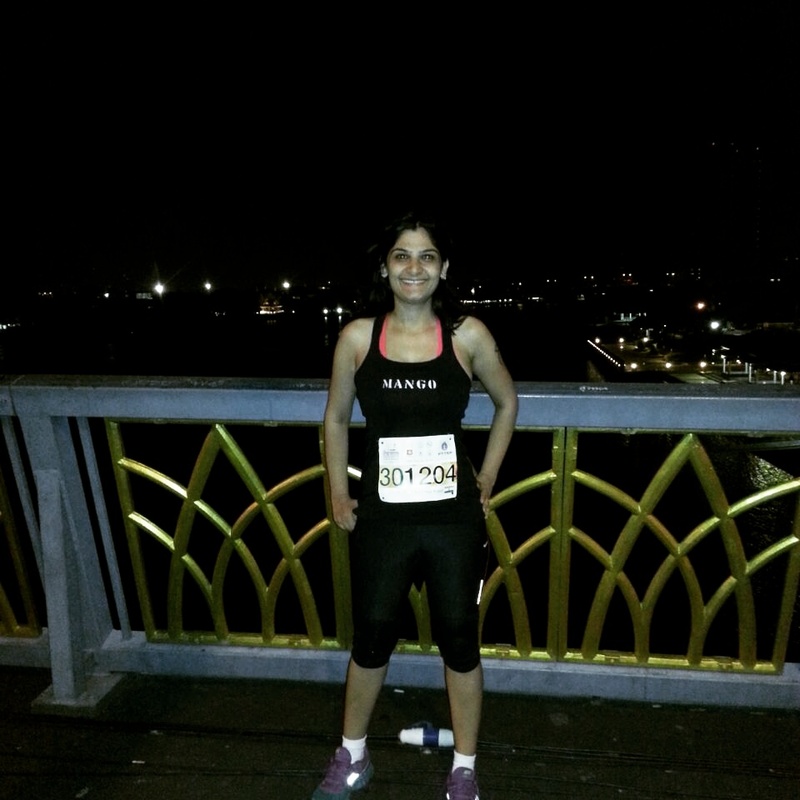 It was like running the entire 21 km on GFR for those familiar with Gurgaon or Sea Link for those familiar with Mumbai. In all there were not more than 7-8 water stations, no energy drinks, very cool looking portable loos in Jeeps and not much fanfare. I had forgotten to carry my ipod so looking at buildings and observing people was my only distraction. Even though I was enjoying the run, I kept feeling that something was missing. The weather was excellent, running on the flyover was a new experience and I felt strong for the most part. But something kept bothering me. Like a constant niggle. I reached the finish line at 2:00:43 (my personal best) and I was very happy as this was my third half marathon in the last three months. The food counters were well stocked with water melons, congee, bananas and sandwiches. 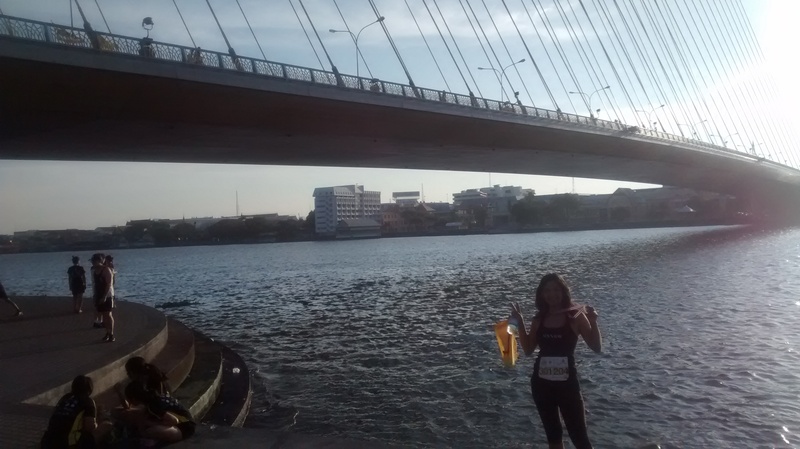 I struck conversation with two American girls and got them to click my pictures at the finish line. With no one to put my arms around and make wacky faces with while getting the pictures clicked, it hit me. I had been missing the smiles, the high fives, the hugs, the warmth, the funny and not-so-funny remarks and even “kitna?” It was a great experience in itself but nothing compares to running with your running buddies and familiar faces. Well, I really can’t wait to run the Stanchart Mumbai Marathon next with my people.